Arizona National Golf Course is nestled in the Sabino Hills, or the foothills of the Santa Catalina Mountains, and borders on the Coronado National Forest. This is one of those bucket-list golf courses when visiting Tucson, Arizona. Designed by Robert Trent Jones Jr., the course opened in 1996 and quickly became known as a challenging to difficult layout. Canadians are familiar with the work of Jones, as he also designed the exclusive Fairmont Chateau Golf Course in Whistler, B.C. 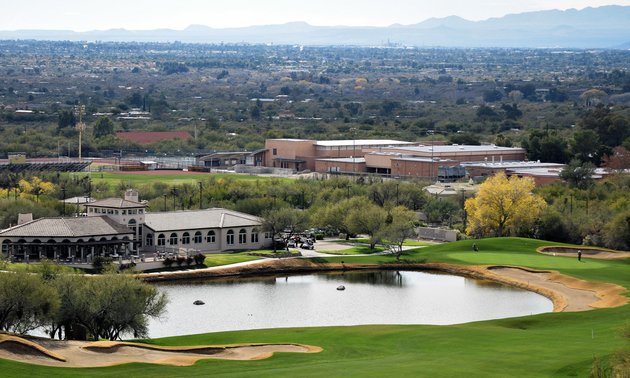 Arizona National is leased by the owners to the Home Owner’s Association, as the course is surrounded by stately upscale homes. Due to rising property values, homeowners have added incentives to keep the course looking pristine as it is a semi-private golf course. Like many golf courses in the Tucson foothills, the terrain is a natural setting for a desert course. The course is carved out of the ravines and hills, starting at an elevation of 762 metres (2,500 feet) and climbing to 914 metres (3,000 feet), before dropping 61 metres (200 feet) on the final hole. Ninety per cent of the fairways consist of swales and mounds with a dry gulch running along some fairways. The Sonoran Desert consists of saguaro cacti, palo verde bushes, mesquite trees and various grasses. If your ball finds the desert, play your ball as a lateral hazard with a one-stroke penalty. This is also known as the Desert Rule. Almost every hole has a desert waste area to hit over or an arroyos (i.e., a gully) that crosses the fairway. The tees and fairways are lush, which is unique for a desert golf course. This course is a par 71, 6,785 yards, course rating of 72.5 and a slope of 143 from the back (black) tees. There are five holes with a par 3. Unless you are a PGA professional or have a registered low handicap, play the whites (5,588 yards) or the blues (6,340 yards). A suggestion from the starter was to play the blues on the front nine and whites on the back nine for 5,850 yards. It is important to select the right tees to match your game, as the course plays harder than the yardage indicates. Put your ego aside, select the right yardage and do not beat yourself up. Being a desert course, the fairways are Bermuda grass and the greens are bent and poa grasses. The fairways are generous but so are the 84 bunkers! Water comes into play on only four holes. Expect elevated tees, blind tee shots, false fronts and undulating greens, making for some unique holes. Hole 11 fits into the unique category, being the number one handicap hole. The hole is 625 yards long, starting with a blind shot and a 240-yard carry over the desert waste area. There are 11 sand traps and a waste area in front of a narrow green. The story goes that Tiger Woods hit a driver off the back tee, followed by a one-iron onto the green and one-putted for an eagle. I was very happy with a bogey! At one time the University of Arizona played out of Arizona National as a member of the Pac 12. Tiger Woods played for the University of Stanford against the University of Arizona. Stanford went on to win the NCAA Championship in 1964 and two years later, Tiger won the NCAA Individual Championship. The University of Arizona Wildcats now play out of Sewailo Golf Club at the Casino Del Sol. Other interesting holes include Hole 4, a par 3 at 184 yards with a nice view of Tucson and the Santa Cruz Valley. Hole 5 is 518 yards, a good risk-and-reward hole with a large lake by the green. Holes 2, 10 and 11 are very difficult to par due to the waste area in front of the greens. Hole 16 is only 362 yards but crosses a creek with a very small landing area. The signature hole is No. 18, a great finishing hole at 513 yards, with a view of the lake, restaurant and clubhouse. It was very satisfying to finish with a par. The large clubhouse looks like a colonial-style Spanish hacienda. The view from the patio features water on Holes 5 and 18, being very picturesque with the Santa Catalina Mountains in the background. 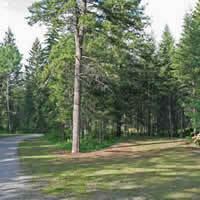 This is a full-service golf course with a driving range, putting green and practice area. Walking the course is out of the question. You can book tee times online, as well as purchase an annual pass with all the privileges of membership. This is one of the few golf courses that features Burger Wednesdays and Friday Fish Frys at the Wildcat Grill. The course also hosts golf tournaments, weddings and various business functions. The Golf Academy offers lessons from LPGA/PGA Instructors for private or group lessons. The Pro Shop is stocked with golf apparel including a good selection of golf shirts. My only regret is that I waited so long to play this course. 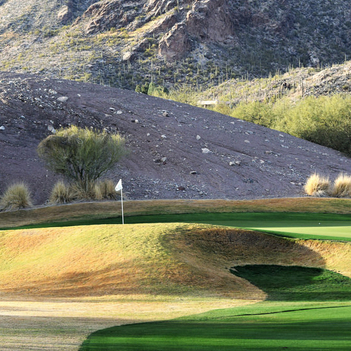 Arizona National is known for its panorama views, mountains, challenging layout and first-class facilities. Few people can play as well as Tiger Woods, but every golfer can certainly enjoy the scenery and the beauty of this picturesque golf course. 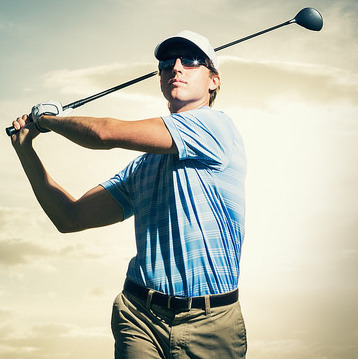 The mental game of golf is as important as the physical skills of the game.